North Norfolk Coast shopping that's not on the high street from local producers & artisans. Dalegate Market will host The Revamp Shack & The Little Robyn Company in the beach huts this week. 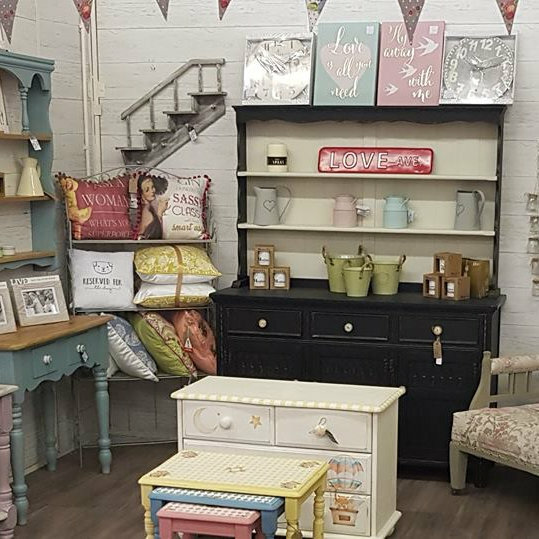 The Revamp Shack is passionate about updating old furniture and giving it new life. We lovingly transform pre-loved furniture with bespoke hand painted, stencilled and decoupaged designs. Pop Up Shops at Dalegate Market - North Norfolk Coast shopping that's not on the high street from local producers & artisans. Dalegate Market will host The Revamp Shack & The Little Robyn Company in the beach huts this week.